Roly-polies are everywhere and kids love them. They can be found under rocks, logs, potted plants, and moist leaves on the ground. 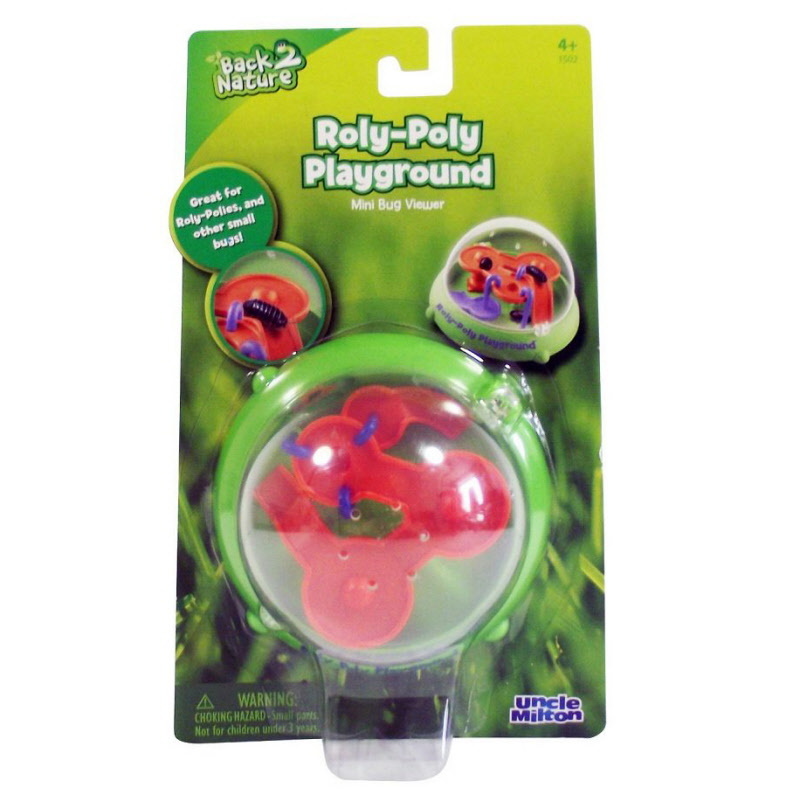 The Roly-poly playground is a domed habitat with colorful playground equipment. Watch your roly-poly go up and down and around the playground. Roly-polies aren't insects, but crustaceans, related to shrimp and crabs. They must be kept in a moist, humid environment. You can do this by adding a moist papertowel, damp leaves or woodchips on the bottom of the habitat and add a drop of water to the habitat's reservoir. Feed your roly-poly a few fish flakes, romaine lettuce, or pieces of potatoes, carrots or apples. old food so it doesn't get moldy. 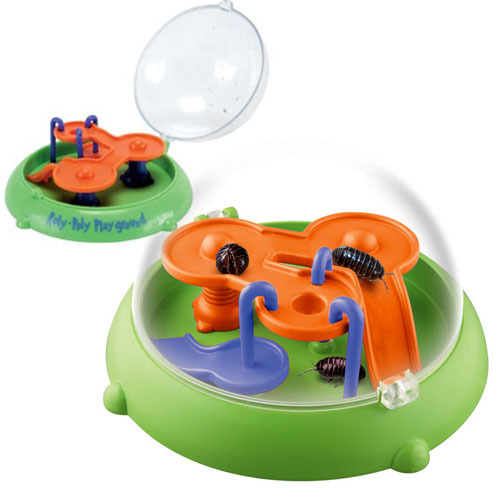 Great for roly-polies (pill bugs), ladybugs, and other small "bugs". An Oppenheim Toy Portfolio Best Toy Award Gold Seal Winner.